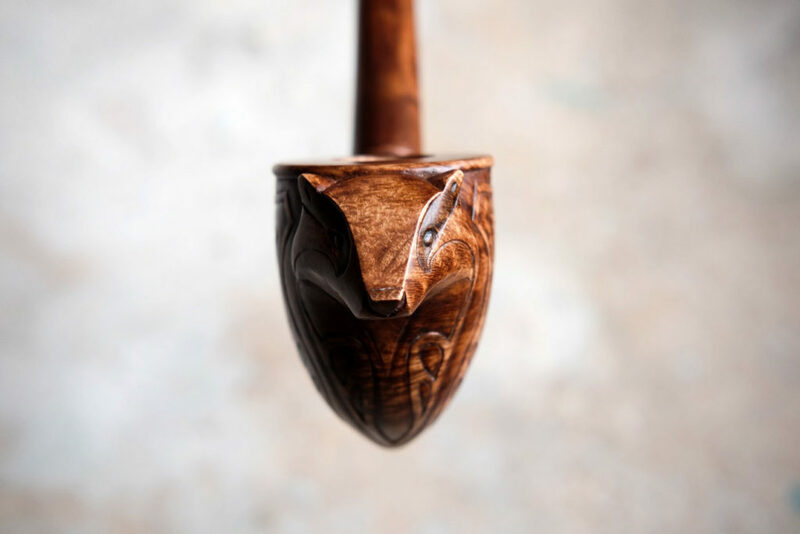 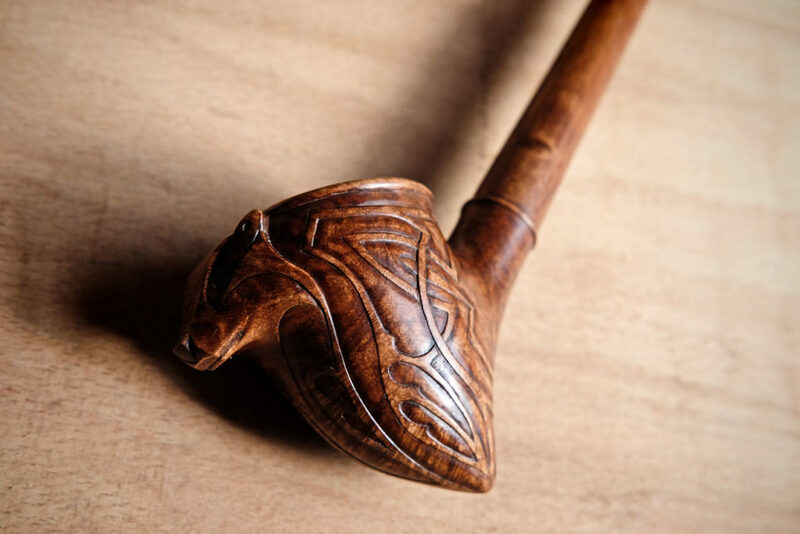 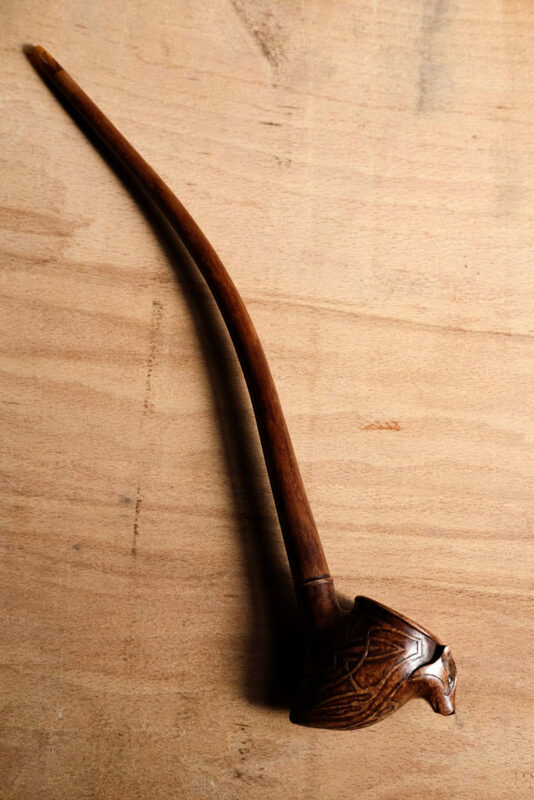 The customer wanted an adaptation of my old Rohan Horse pipe (this http://www.arcangelo-ambrosi.com/project/rohirrim-pipe/ ). 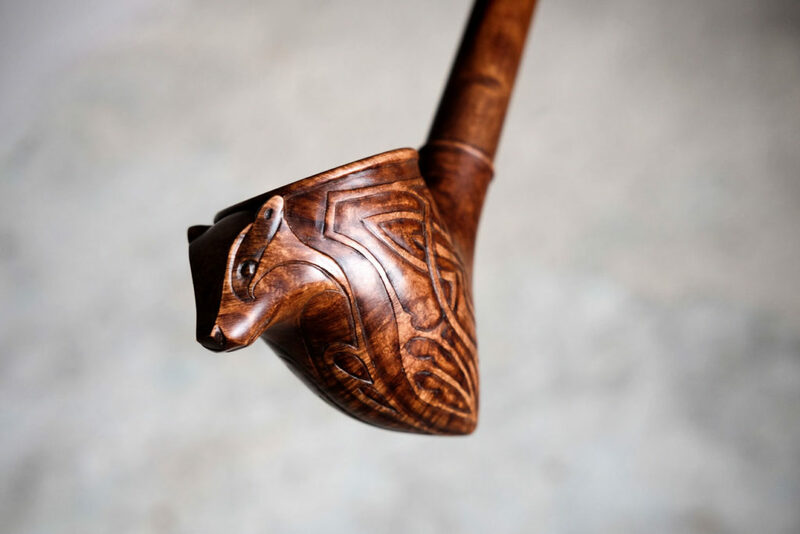 A badger instead of an horse, because this particular animal has a special meaning for him. 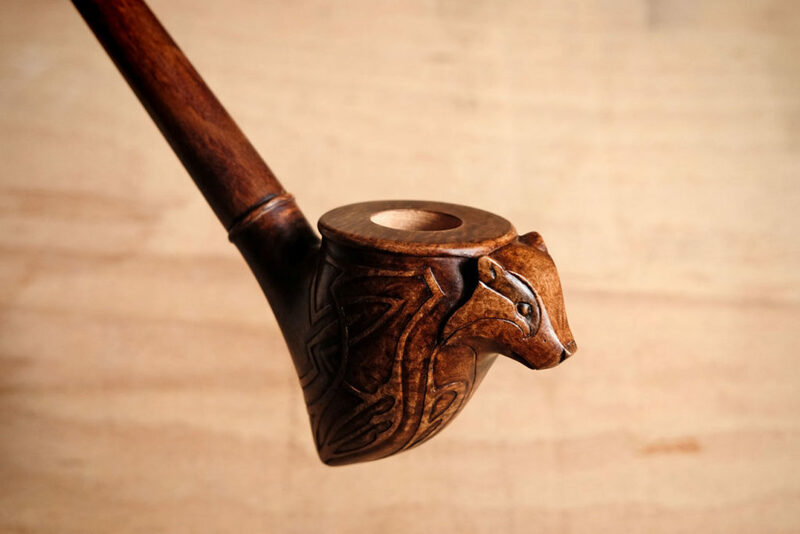 I really enjoyed this work and I’m quite satisfied with its design and the badger stylization. 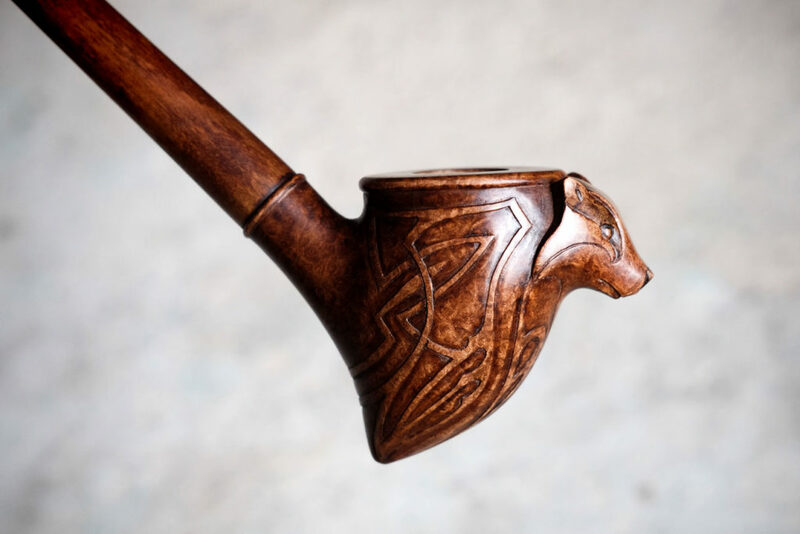 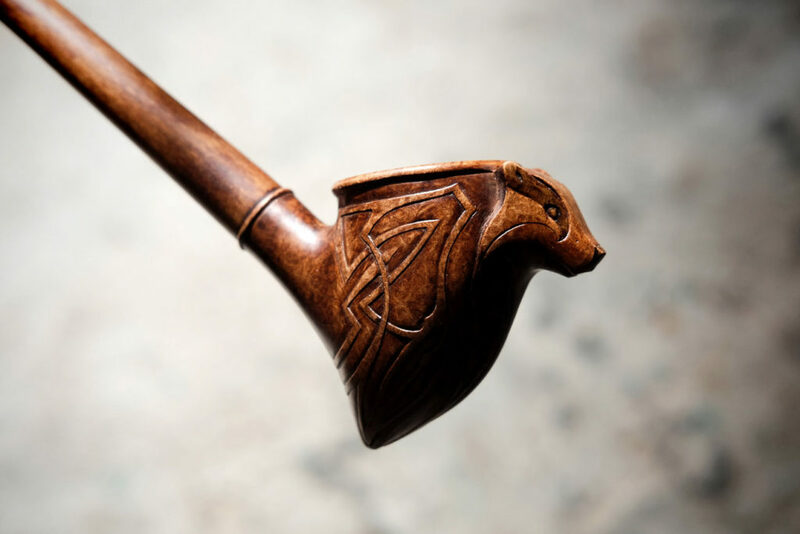 I’m also very happy of the symmetry of the pipe.